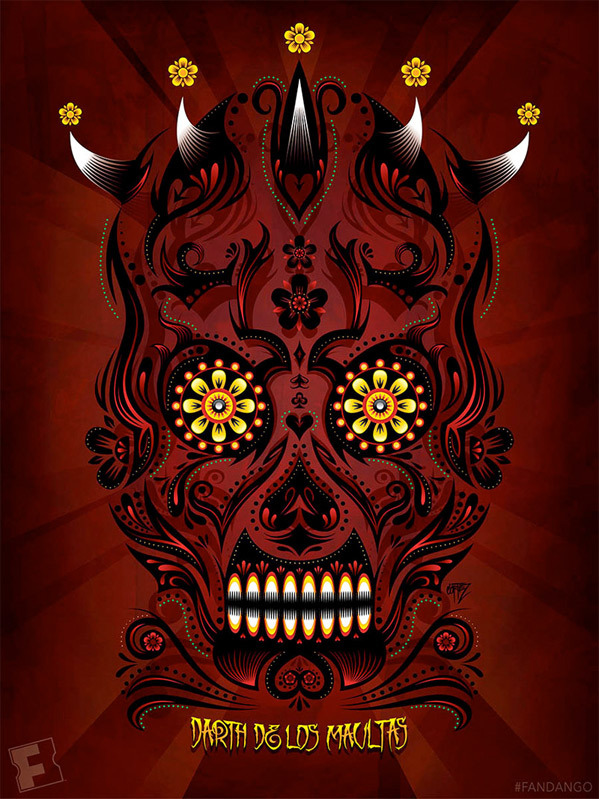 In Mexico this weekend they're celebrating the Day of the Dead, an event known for its masks and stylized artwork not to mention skeletons galore. 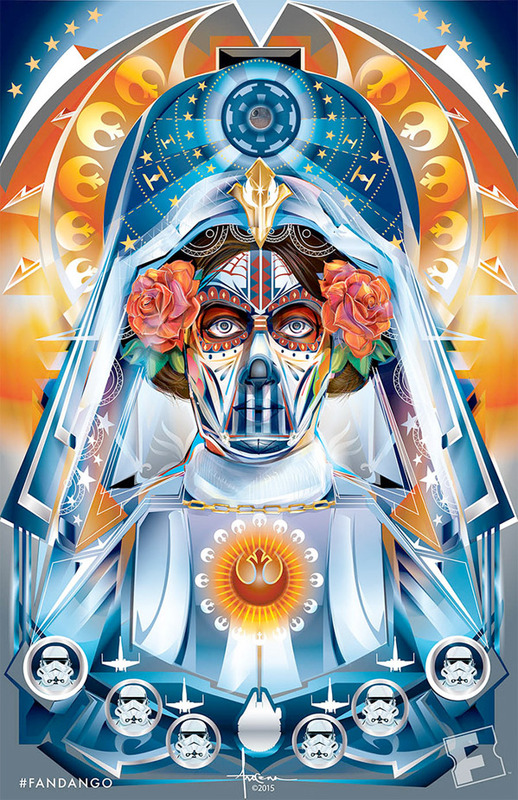 With a new Star Wars movie coming up, Fandango asked a few of their favorite artists to create their own Day of the Dead-themed Star Wars posters and these are the result. 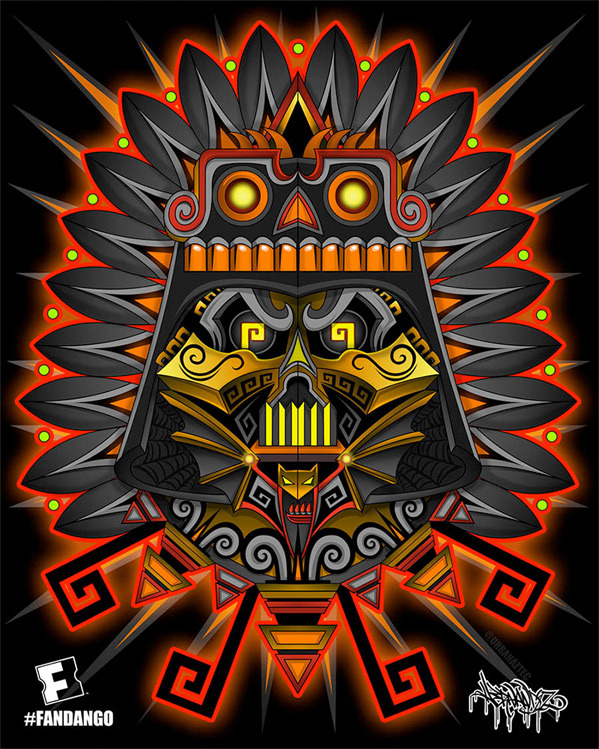 All this art is inspired by the entire Star Wars universe and its cool to see such unique and intricate designs. 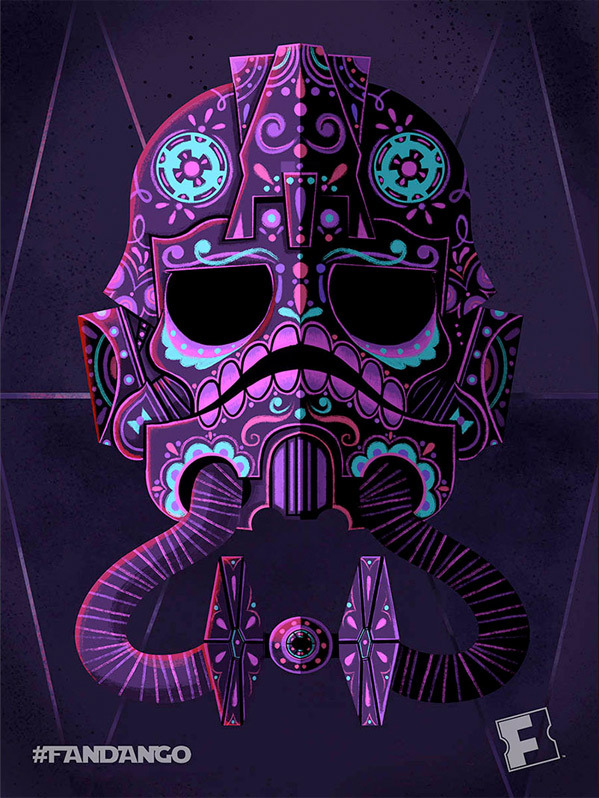 Even though they're not really connected with The Force Awakens, I had to share them anyway to keep us all in the Star Wars mood. We're just 7 weeks away until the new movie opens. Check them below. For more info, click on any image above to visit Fandango where all of these posters were first premiered. Star Wars: Episode VII - The Force Awakens, continuing the beloved original trilogy about Luke, Leia, Han & Chewie that ended in 1983, is directed by J.J. Abrams, of the films Mission: Impossible 3, Star Trek, Super 8 and Star Trek Into Darkness. 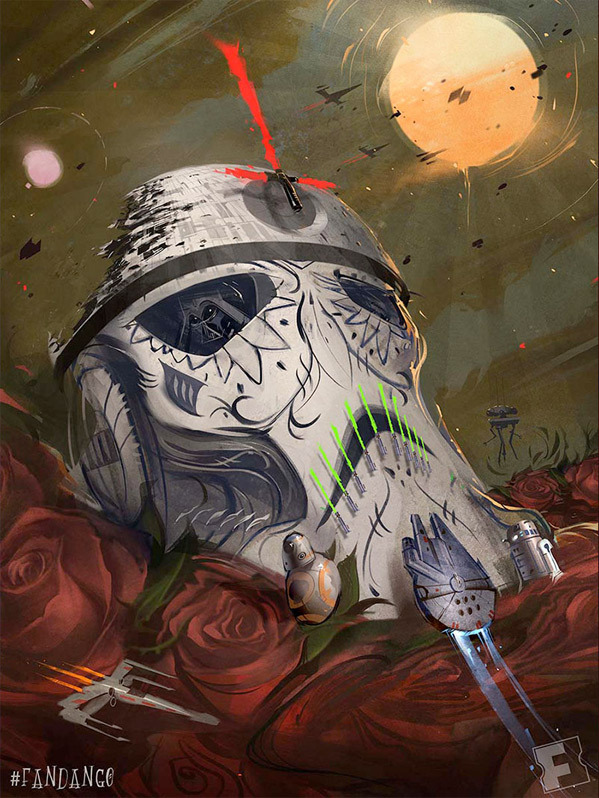 The screenplay is written by Lawrence Kasdan (Empire Strikes Back, Raiders of the Lost Ark, Return of the Jedi, The Big Chill, The Bodyguard) and J.J. Abrams, with Kathleen Kennedy from Lucasfilm producing. This debut is the beginning of a brand new saga, with another trilogy planned for this storyline, with Rian Johnson and Colin Trevorrow lined up to direct. Disney, after acquiring Lucasfilm in 2012, will release Star Wars: The Force Awakens in theaters worldwide on December 18th. ...as much as I simply ADORE 'Dia' (my own grandmother passed away literally several weeks ago, so this Holiday is especially poignant for me, this year), however, I'm afraid that 'Maul' one is simply too-much.